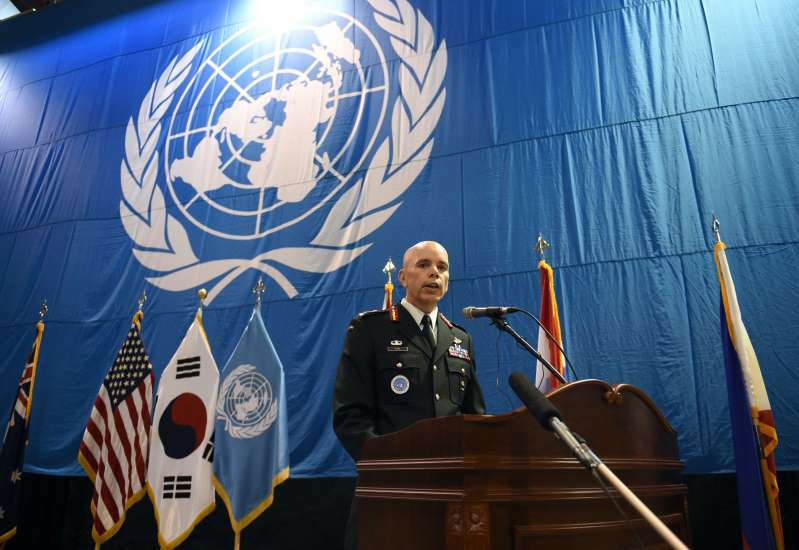 A declaration to end the 1950-53 Korea War could be a "slippery slope" to questioning the need for the U.S. troop presence in South Korea, the deputy head of the U.N. Command overseeing the Korean armistice said on Friday, ahead of new talks between Washington and Pyongyang. Canadian Lieutenant-General Wayne Eyre said North Korea's push for such a declaration could be a ploy to divide the U.S.-South Korea alliance and secure the withdrawal of the 28,500 U.S. troops based in the South. "You have to question why North Korea is pushing so hard for that end-of-war declaration," he told an event at Washington's Carnegie Institute for International Peace. "The optimistic would say that he (North Korean leader Kim Jong Un) needs it for a domestic audience so he can change his ways and have a new approach; the pessimist would say it’s another way to split the allies apart." While saying that the current mood of detente and negotiation had given hope for a process "moving forward towards a lasting peace" on the Korean peninsula, Eyre said the North Koreans were "experts at separating allies." "So what could an end-of-war declaration mean? Even if there is no legal basis for it, emotionally people would start to question the presence and the continued existence of the United Nations Command," he said. "And it’s a slippery slope then to question the presence of U.S. forces on the peninsula." Trump has said he wants "at some point" to bring back U.S. troops from Korea..